A Seriously Happy Friday! | For the Joy of Life. I have a very special story to share with all of you today! So once upon a time Elder Hunter Miles Moore wrote an email that said something along the lines of this: "Morgan is doing really well! She is 18 and her friend Emily is in our ward. She has come to church twice and she is doing awesome. She has a preach my gospel and she has been studying it. 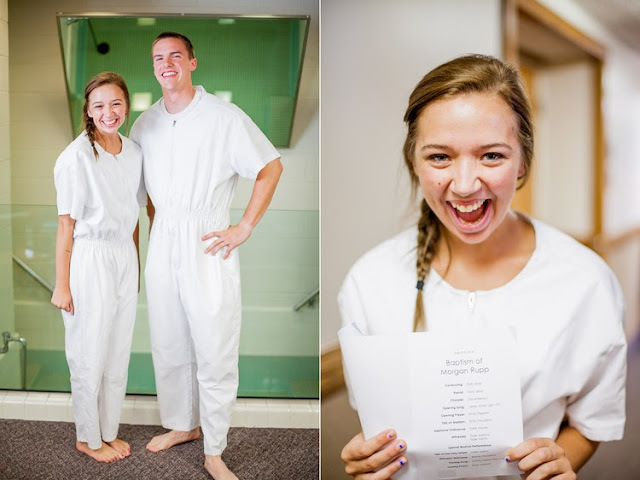 Hopefully she gets baptized :)"
So, I pray for every single one of Hunter's investigator's, and especially 18 year old girls because I was once that 18 year old girl that was being talked about in a missionary's email home haha. But, I never knew how much this sweet girl would end up meaning to me. Now, not too long after this email was sent (and Morgan, I actually haven't even told you this part yet so this is for you too!) I was feeling slightly stuck in life and needed some inspiration. That tends to happen when life gets repetitive I've noticed. I learned something in the past: when this happens, trust in the Lord and seek direction through him. So, I read my patriarchal blessing. I love those pieces of paper. My goodness, they have helped me through thick and thin. As I was reading I came across a paragraph that has stuck out to me before, a paragraph that has both scared me half to death into thinking I need to go on a mission, and a paragraph that has lead me to where this story really begins. Without going into too much detail, I read it and felt the spirit witness to me that I would need to be prepared to talk about the gospel whenever necessary but in all reality very soon. I got pumped and prayed for missionary experiences every day after that and for ways that I could share my happiness that I have found in my church. I truly believe that I have been through several trials to become a member of this church so that I can share my story with others. In those few days I had a coworker ask me about modesty, I had a friend ask me about the temple, and I had more questions on my Q&A section of this blog about my faith. Those ya see, were just the build up though because then on Sunday August 4th I received a call from Cincinnati, Ohio. That call was from the sweetest, strongest, most precious girl. Between the tears we were both able to share our stories, and talking to her was as if I had known her my entire life. Morgan had been meeting with Elder Moore and he noticed some similarities in our conversions. He felt prompted to give Morgan my phone number when everyone around her was tearing her down. And let me tell you, they were tearing her down. The entire time we spoke, the spirit was with us both. We clicked instantly, I still can't believe that we only "met" less than a week ago. I loved her instantly. It truly is crazy how much love I developed for this precious girl. I wanted her to be baptized more than anything in the entire world. I wanted her to have a lifetime of the happiness she truly deserves. I want that for everybody, but for Morgan, it was different. She has a testimony like you wouldn't believe. Her faith shines so incredibly bright. The light of Christ shines from within her and her sweet spirit can fill anybody with happiness. Sunday to Friday felt like an eternity as each day I prayed my heart out to Heavenly Father in hopes that she would be comforted through the week. I went on temple grounds one night and prayed in the parking lot in hopes that she would send me a picture of her in white. Today our Father in Heaven looked down at one of his precious and beautiful daughters being baptized into The Church of Jesus Christ of Latter Day Saints, and I have no doubt that he is smiling and so pleased with her decision. Morgan, you are amazing. The Lord has wonderful things in store for your life. You have joined the Lord's army and you will be so greatly blessed for it. You have helped increase my testimony and you have helped me discover a yearning to share the gospel with all who will listen. I can't wait to see the wonderful woman you turn out to be as you follow God's plan for you. I love you Morgan! Best Friends For Eternity! Ya'll this church is true, my favorite book is blue, and I love being Mormon. P.S. Read all about her beautiful story right here! She is such an amazing girl! Oh.My.Gosh. So craziest thing. I clicked on your link to the other site and- I KNOW EMILY PROUDFOOT! hahaha. SO CRAZY! Her older brother was in my freshman ward! The world is so small! And this story is so amazing! I love everything about it! This is amazing! I am not a member but am really interested in the church, the only thing holding me back is my family. Every time I see how great you are doing or I see girls my age converting and being strong enough to overcome their setbacks, it gives me hope that one day I will have the courage to do what I know is true and not listen to anyone else, or let anyone get to me :) I love your blog and I love this story. I'm so grateful for strong girls like you!